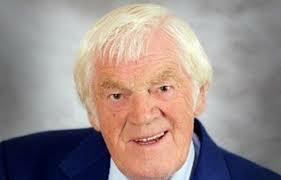 Legend of the Irish country music scene Big Tom McBride died early this morning. His death, at 81, followed the passing of his beloved wife, Rose only a few weeks ago, in January. In a statement on Facebook, his family said: “It is with great sadness that we announce the passing of our dear father Big Tom McBride (RIP) this morning. He said lovers and supporters of Irish music everywhere will have heard the news of his death with sadness. “His name will be recalled with fond memory by those who listened and danced to, his and his band members’ generous nights of entertainment all over the island of Ireland. Big Tom, one of six children – two died – hailed from the family farm in Oram. He worked in Scotland, England and the Channel Islands before finally returning home when his brother of seventeen died. He rose to fame first as a saxophone player then a vocalist with the Mainliners. Success followed with numerous hits including Gentle Mother, Old Log Cabin for Sale, Broken Marriage Vows, Four Roads to Glenamaddy, Bunch of Violets Blue, Sunset Years of Life, the Old Rustic Bridge and You’re Going Out The Same Way You Came In. Big Tom is survived by two sons and two daughters. The Carrickmacross-Castleblayney Municipal District has commissioned a statue in Big Tom’s honour which members plan to erect in September – the date of his birthday. 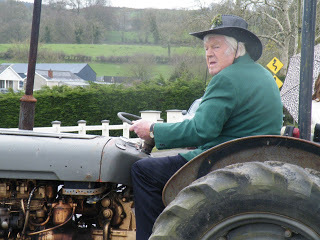 The ‘gentle giant’ who entertained generations of people, young and old, at home and abroad for decades past, will be laid to rest this Friday following his funeral mass in St. Patrick’s Church, Oram, at 11 am. Burial will follow in the adjoining cemetery. Michael Commins will present a Big Tom tribute show on Mid West Radio tomorrow night.